It has been seen that most of the couples tend to put a lot of effort in finding a private space, where they can spend time with each other. And, there are many places to enjoy around the world. Out of those places, we are introducing one such unique and amazing place situated in north of Auckland, New Zealand, which will be proved as stunning to the young lovers as well as adults and it’s sure, this restaurant will make a special and impressive place in their heart. Any guess…??? 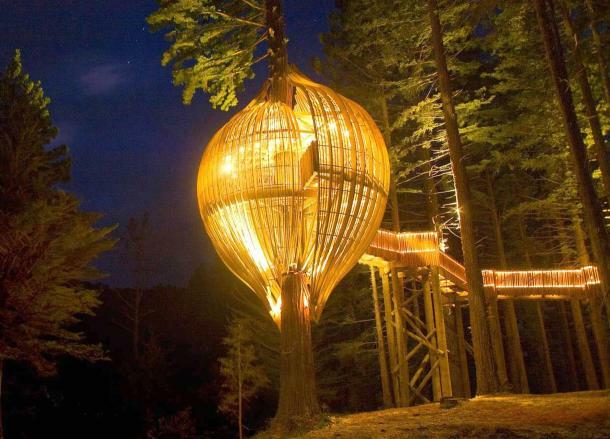 We are talking about the Yellow Treehouse Restaurant, the childhood dream of the Pacific Environments Architects Pvt. Ltd. that has come true. 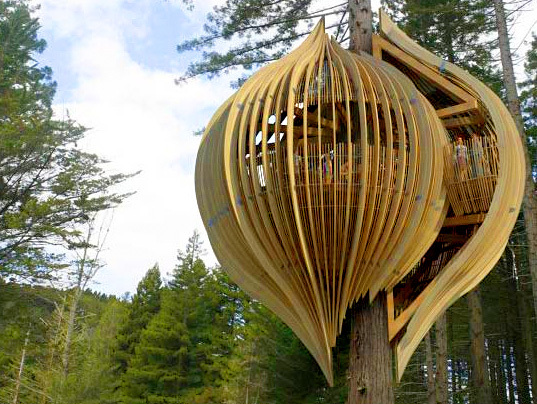 The striking pod-shaped structure constructed ten meters high on the Redwood tree and with the help of plantation poplar planks and redwood balustrade, it has been made. Overall, the construction is very simple, but the result is an ultimate. The two rounded parts of the pod are accessed through an elevated “Gulam Path” that fits the entire restaurant perfectly. During the night, both, the Yellow Treehouse Restaurant, and the path are lighted by warm-colored lights, which render a romantic and natural shine that you completely dive into the ambiance of the restaurant. As we further move to its dining, it offers private dining for any celebration, whether it’s a birthday, anniversary, planning to purpose or simply wanting to share a special meal with friends, the restaurant will definitely make them spectacular that become memorable forever. But, to experience all these things, you have to do advance booking for your celebration. Along with a unique dining experience, the guests can explore the magnificent Matakana and Warkworth area. They can enjoy a day out fishing or visiting the neighboring wineries before they settle in for an evening of fine dining. 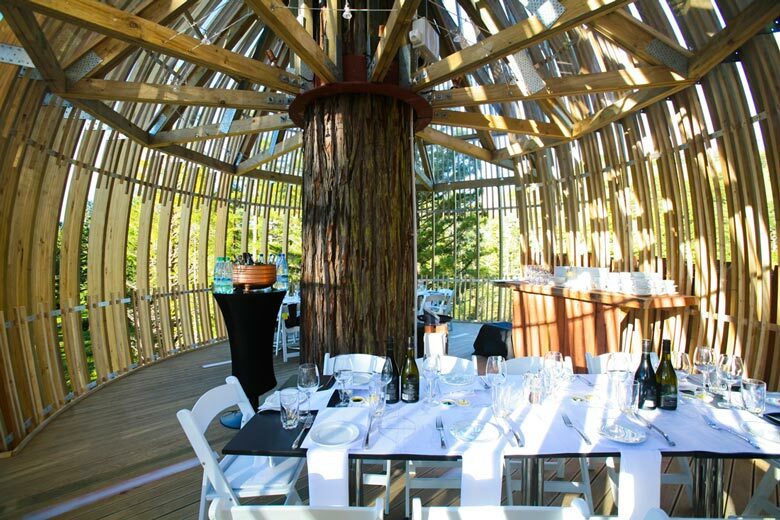 The treehouse can accommodate 30 guests for a seated meal or 50 for a more casual stand-up function. The entire venue is licensed and has a dedicated private road entry. The catering facility is organized via their three preferred suppliers to manage all on-site catering and make sure the guests that each and every moment with the Yellow Treehouse Restaurant is special for them. 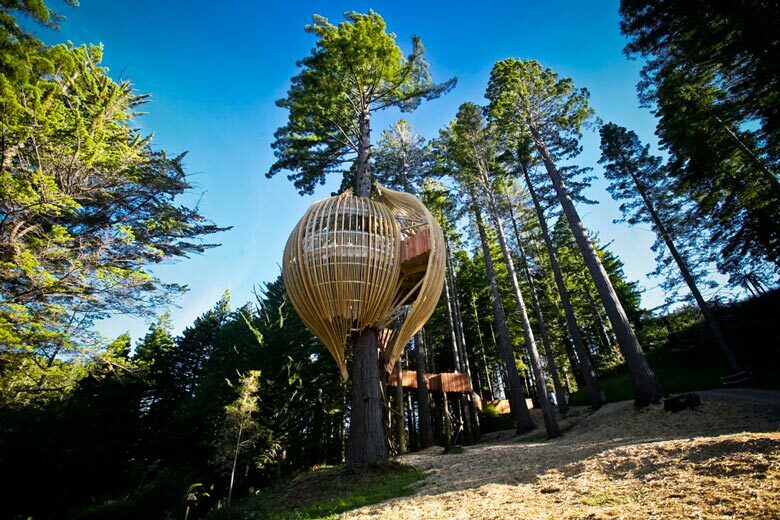 This treehouse is an ideal place for the couples and definitely a breath of the fresh air, which is carefully and successfully integrated into the landscaped and provides full functionality of a restaurant that is something more by the unusual location and shape. T’Spookhuys- Adventurous Dining Experience at World’s Scariest Restaurant! !